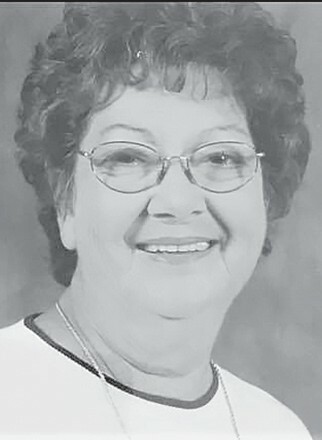 BETTY JEAN MINOR, 83, of the Mulberry Community, passed away on Dec. 23, 2018, at her residence. Mrs. Betty was born in Alabama on Nov. 2, 1935, to the late Alex McAlpine and Ophelia Roberts McAlpine. She was a lifetime member of Mulberry Baptist Church where she loved to attend services and church fellowships. Betty retired from Tyson Foods in 2004 after more than 20 years of service. Betty loved to cook and was known for her homemade fried apple pies and her coconut cream pies. She loved to sew and was known in the early years to work all day on the production line at Tyson and go home and sew well into the night making dresses for co-workers’ children. Betty was preceded in death by her husband James Junior Minor, parents, five brothers, and five sisters. She is survived by her sons Butch (Sheila) Minor, Neal (Pam) Minor, and Kim (Jackee) Minor; grandchildren Chris (Leticia) Minor, Joseph Minor, J.J. (Kasey) Minor, Kymberli Minor (Heath Stephens), April Baker (Spencer Pate), and Joe Dylan (Lizzie) Armstrong; great-grandchildren Elijah and Kylie Minor, Nova and Chevy Minor, James Pate and Bentley Armstrong; brother Edward (Annie Ruth) McAlpine; a host of nieces and nephews. Funeral services were held on Thursday, Dec. 27, 2018, at 11 a.m., at Mulberry Baptist Church. Bro. Larry Nail officiated with Scott Washburn and Sarah Tankersley providing music. Pallbearers were Ronnie Allred, Tony Minor, J.J. Minor, Joe Dylan Armstrong, Chase Evans and Josh Wright. Burial was in the adjoining cemetery.